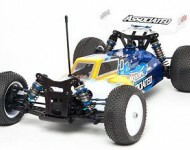 The RC10B44 is a proven winning platform with two I.F.M.A.R. World Championships and four R.O.A.R. National titles under its belt! 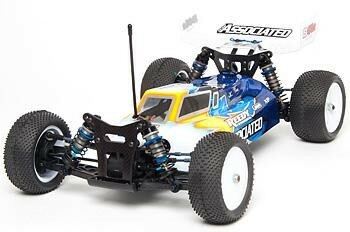 The B44.2 Factory Team kit takes the next step in drawing out every opportunity to maximize the 4WD buggy's potential. The big news on the B44.2 is the new Factory Team 12mm 'Big Bore' hard-anodized shocks. The shocks feature threaded collars, machined aluminum shock caps with bleed screws, and are completed with TiN "Gold" 3mm shock shafts. The end result is a 12mm shock that delivers a plush and compliant ride that keeps the B44.2's tires planted on the ground.